The Ernst & Young LLP v. Moore wage and hour case that began in California and went to the U.S. Supreme Court in October 2017 may restrict class action lawsuits against employers in the future. The Ernst & Young case will decide which options are available for employers. This is so-called class action waiver would permit employers to require workers to arbitrate their problems instead of banding together with other coworkers and suing their employer. This Supreme Court case has been heralded as one of the most critical ones for U.S. employers. The Issue: Can employers prohibit employees from pursuing work-related claims in a class or collective action lawsuit? Workers’ rights groups and advocates are opposed to class action waivers primarily because individual employees who wish to bring a claim against their employer face greater barriers on their own than they would through collective litigation efforts. “Very few workers are willing to take on their employer by themselves and put a target on their backs for termination, abuse, or worse,” said Christine Owens, executive director of the National Employment Law Project. Employers view individual arbitration as a streamlined process that allows disputes to be resolved more quickly and at a lower cost. The original, collective action case alleged that Ernst & Young violated the federal Fair Labor Standards Act (FLSA) and California labor laws by misclassifying employees and denying them overtime wages. 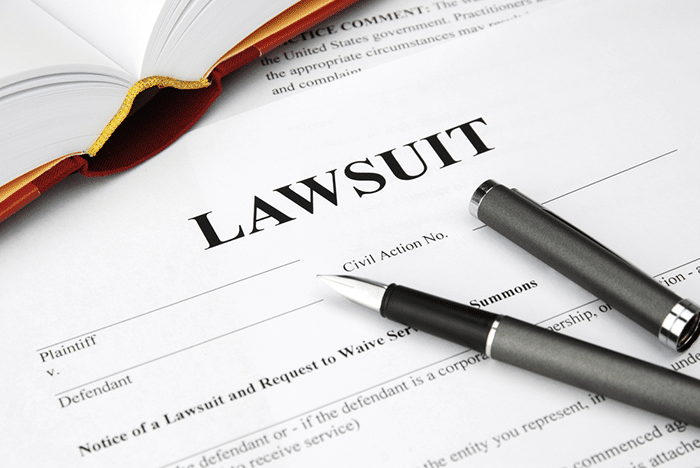 The Ninth Circuit Court held that Ernst & Young (as an employer) violated the National Labor Relations Act (NLRA) since it required employees to sign an arbitration agreement that precluded them from bringing a wage and hour class action lawsuit against their employer. In the past, Circuit Courts were inconsistent on whether the NLRA permits collective action waivers. The Second, Fifth, and Eighth Circuits have ruled in favor of class action waivers. However, the Sixth, Seventh, and Ninth Circuits have had the opposite conclusion. Ernst & Young LLP v. Moore was appealed and on October 2, 2017, the U.S. Supreme Court heard arguments for the case. It was combined with 2 other similar cases: Epic Systems Corporation v. Lewis and NLRB v. Murphy Oil. In theory, the U.S. Supreme Court could issue their ruling as early as December. However, this is unlikely since the Court justices seem divided on this matter. It’s more likely that the potentially controversial opinions will be handed down near the last day of the term, which will be late June/early July 2018 — right before the Court’s summer break. As a result of the court proceedings so far, a few things have changed. In particular, employers should consider updating their California At-will Employment & Arbitration Agreement. Re-word the language to make the agreement to arbitrate mutual. Broaden the agreement to cover every aspect of employment or that could potentially be brought in the employment context, such as claims arising from a company’s background checks during the application process. Revise the exclusions to exclude those claims that can’t be compelled to arbitration, including PAGA claims. This is so the agreement will not be thrown out by a court as unconscionable. Include disclaimer language verifying the employee’s understanding that arbitration waives the right to a jury. Eliminate specific California Arbitration Act requirements since this agreement and any arbitration proceeding is to be governed by the Federal Arbitration Act. Make the agreement voluntary per existing Ninth Circuit Court standards. KPA clients with HRDrive software have it easier! An updated, law-firm approved, California At-will Employment & Arbitration Agreement is in the HRDrive Toolkit as we speak! We’ll keep our eyes peeled for the final ruling and make updates accordingly!